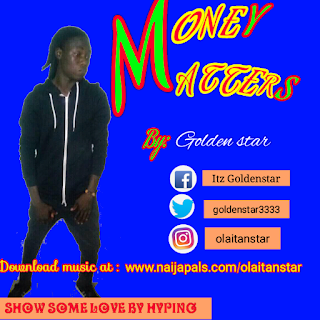 Money matters is another song by GOLDENSTAR with clear-cut meaningful lyrics content.The song which was released about a week ago. Money matter is a well- thought out song fully packed with lessons of life. According to the singer,the story MONEY MATTERS is more of a summary of his experience and journey in life.